During our six days in Siem Reap, we explored not just Angkor Wat, but many other temples as well. There are in fact somewhere around seventy temples and other ruins in the area, each one more beautiful than the last. It's undeniable that Tim and I have favorite towns, cities, and countries around the world. It's also undeniable that we have some least favorite places. And then there's the handful of in-betweeners, the ones who because of circumstances beyond their control get the short end of the stick in my memory. Spain was like that for me. We had spent a wonderful 6 months in South America, eating the food, speaking the language, soaking up the culture of that magical continent. And then we headed to Spain: not only was Madrid the most affordable European destination from Ecuador, but it also meant we would have one more month of speaking Spanish. The problem is that Spain also has the Euro, aka The Currency Which Will Make You Cry Whenever You Go To Pay For Something. So after 6 months in South America, it was a bit confusing to still be speaking Spanish but be paying 10 times more for a bottle of water. Spain also is home to an extremely mean lady who we met in Madrid (and have yet to share the story about) and an extremely evil little boy who we met in Sevilla (and have yet to share the story about). So, you know, Spain gets the short end of the stick in my memory. Don't get me wrong: we had a great visit there and we have some really fond memories of our time in Spain. It's just not one of my favorites. But really, not everything can be a favorite, right? Right. We were also wiped out. We're generally pretty slow travelers, but in 28 days (the maximum amount of time a tourist can be in Cambodia) we had traveled to seven different destinations (and ate some tarantulas along the way too). Seven places may not sound like a lot, but remember we once spent 17 days in one place in Fethiye, Turkey doing virtually nothing (well, save for getting engaged, of course). So it was inevitable, maybe, that the next country on our "To Do" list was going to get the short end of the stick through no fault of its own. And it’s difficult not to have a soft spot in your heart for the country given Laos is the most heavily bombed country in the world. Whereas Cambodia has its landmines, Laos has those as well as thousands of pounds of unexploded ordinance (UXO) which were dropped on it during the Vietnam War and then some. The Americans, the French, the Vietnamese…everyone has dropped bombs on little Laos while fighting wars that had nothing to do with Laos. 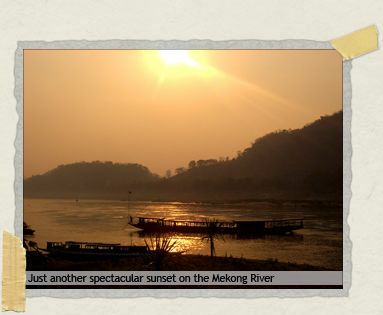 It was only in 1989 that Laos started allowing tourists in. (And, really, after what everyone has done to them, who can blame them for wanting to keep people out?) And so it’s a bit surprising that in the short amount of time they’ve had there, backpackers have already been very successful at beating down a well-trodden tourist path through the country, particularly in the north. And by well-trodden I mean there is a small town in the north of Laos that has dozens of “TV bars” which will be blaring different reruns of Friends. We once stood on a corner and counted no less than four different Friends episodes being shown at the same time. It’s really an amusing site to behold. 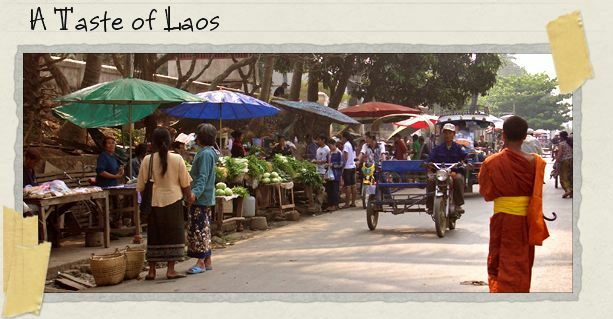 Laos has two choices for tourist visas: 15 days or 30 days. The 15 day visa costs $30 and can be gotten at any border crossing. The 30 day visa costs only $5 more, but you have to arrange for it ahead of time at a Laos embassy. Tim, Klaus, and I opted for the 15 day visa. Klaus was due to fly home to Germany in three weeks and we only planned to visit northern Laos, so the 15 day visa fit better with our schedules. In the end, we used our entire 15 day visa in Laos (and left really wanting a few extra days because we loved their capitol, Vientiane). And although it’s not one of my favorite countries, we still had a wonderful time in Laos (which we’ll be talking about more in the next few posts). I think our choice to visit Laos directly after Cambodia, on a relatively short visa (given our travel style), and sticking only to the northern backpacker route created some high hurdles for the little country. 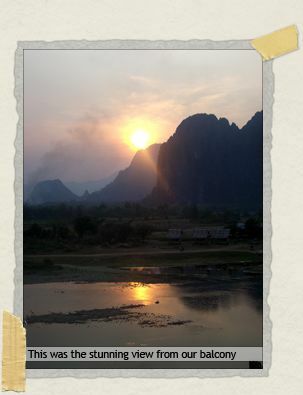 And I wouldn’t mind going back to Laos on another trip so it could get a fair turn. Not only would I love to visit the capitol again, but I particularly want to see the less-trodden southern portion of the country. Luckily I know many people who already love Laos just as much as Tim and I love Cambodia. So in the meantime, between now and my next visit to it, I know Laos is in pretty good hands. I read your impressions of these countries caught between times(ancient and techno)and am still awed that these are the places of the horror stories from in MY early adulthood. These were the jungles, cities and people which my friends spat curses about, destroyed in the name of some political or personal ideal and altered lives forever. My father's generation could say the same about Germany and Japan; his fathers about Russia. Hell, any history buff could take us back through the Crusades, Inquisition, Khan or Alexander. We're living this in the Middle East now. Mankind rises, recovers and above all, loves. Thanks for loving the people. Anyway, although I don't like the fact that Spain got the short end of the stick in your memory bank I nevertheless found your post to be rahter cute and informative. The beef laap sure sounds yummy, but I'm not sure how I'd deal with the sticky rice getting everywhere. I mean if it dries out on you does that make you a rice krispy treat for the birds? I think I've spend too much of my life acting like a statue… I'd rather be the bird if you know what I mean. see, the sentiments, and the way you express yourself? it's amazing. 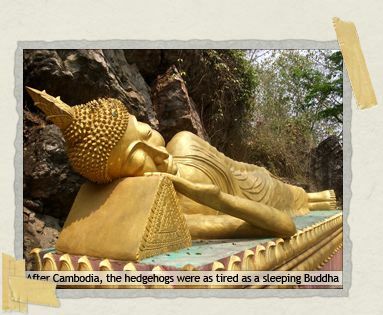 and it makes me feel for laos, too. the food does sound delicious, and the pictures are stunning. of course. Guys – Tubing down the Mekong, the mysterious Plane of Jars, broken Russian tanks and US aircraft, strange goings on with US military secretly hunting down vet's still in the forest, and a lost city on no map…. I think you have to go back! Do you remember the name/location of the awesome place you stayed that you mention here? I'd really love to know. 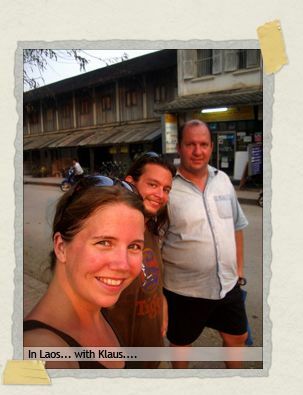 We know among many backpackers paying $40/night in Laos is just plain crazy-talk. But it was definitely worth the splurge!